Two summers ago, my friend Tracee visited me from across the ocean, and I had bought a selfie stick so we could capture our memories together. We were trying to work out how to use it and got a few wacky accidental pictures, like the ones pictured above. I thought these pictures would be perfect for one of our October Case Files at CSI: Color, Stories, Inspiration, which featured monsters. 2Crafty sponsored CSI in October. 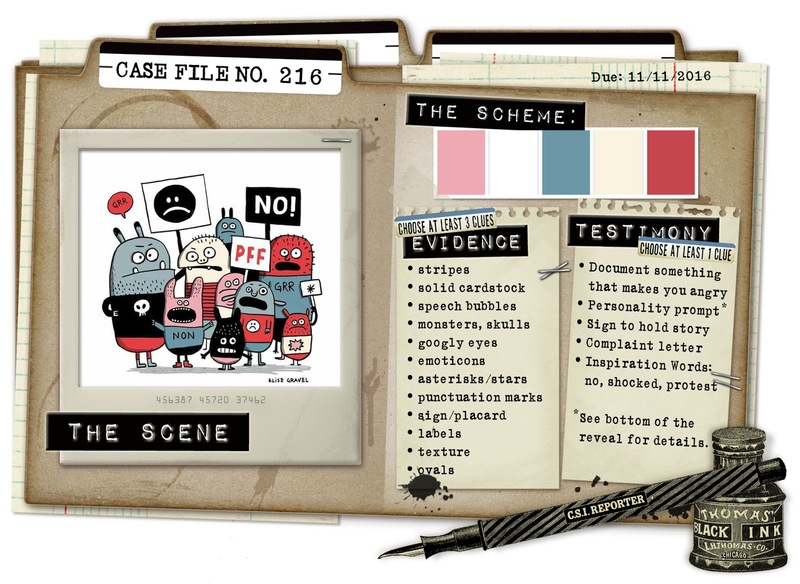 When I looked at the clues in the Case File, I realized I had lots of different 2Crafty pieces I could use, specifically the speech bubbles, monsters, stars, and punctuation marks. I adore the 2Crafty "Monsters!" I treated this little guy with gesso first and then used watercolor to paint him so that he'd have a sort of ombre look. The paint wasn't drying, so I added clear embossing powder, which gave him a cool bubbly texture. I created the sign out of the rectangle insides from "Polaroid Assortment Frames." Never throw those negatives away--you never know when they'll come in handy! 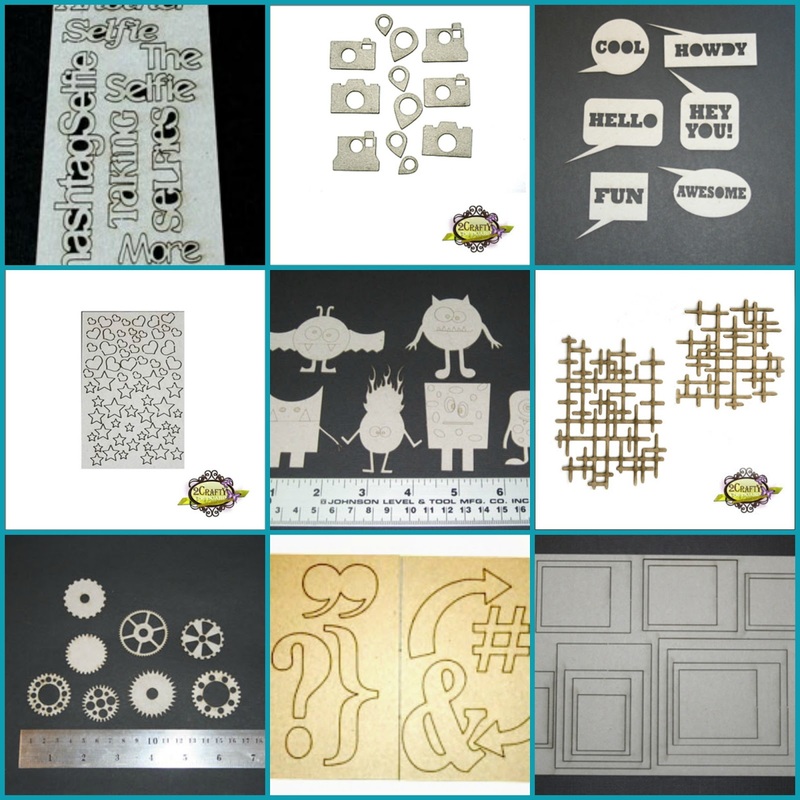 I sprinkled some little stars coated with silver embossing powder about the layout. These stars are from the "ATC Tiny Hearts & Stars" sheet. 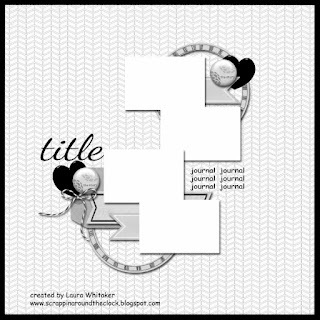 How cool are these "Interlocking Grid Panels" that I used in the background? I had coated them with gesso thinking I might pain them but decided to leave them white. I started to sand off the excess gesso that had dried when it stuck to to the plastic on which I painted the panels, and then decided it sort of looked cool--like monster goo, so I left it. 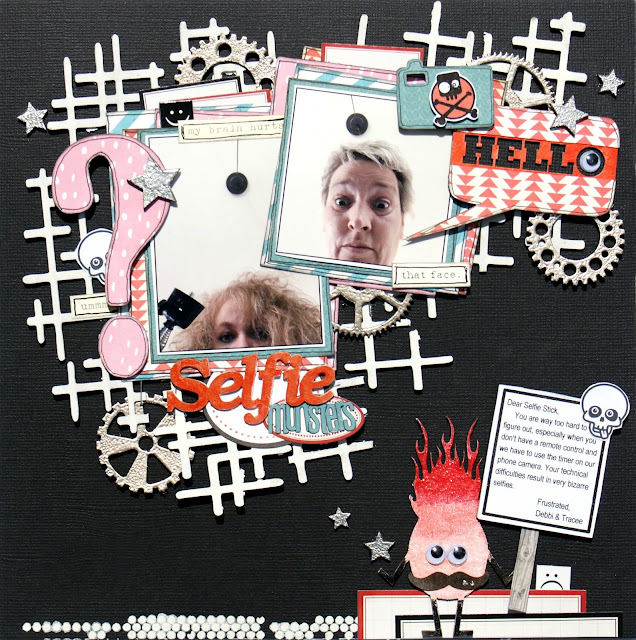 I colored the title from the "Selfies Word Pack" with red stamp ink. The cool gears, which I embossed with platinum metallic powder" are from the "Gears" set. That cute little camera is from the "Asst Mini Camera Set." I covered it with teal paper to match the papers I used in my layering and then found this fun skull clipart online to add on top of the camera lens (skull was one of the Case File clues). That cool speech bubble is from the "Word Bubbles" set, which six different pieces. I backed it with black paper, painted the middle red and topped it with some patterned paper. The googly eye was a fun, monstery addition inside the letter O. The question mark, which I covered with patterned paper, is from the "Punctuation" set. 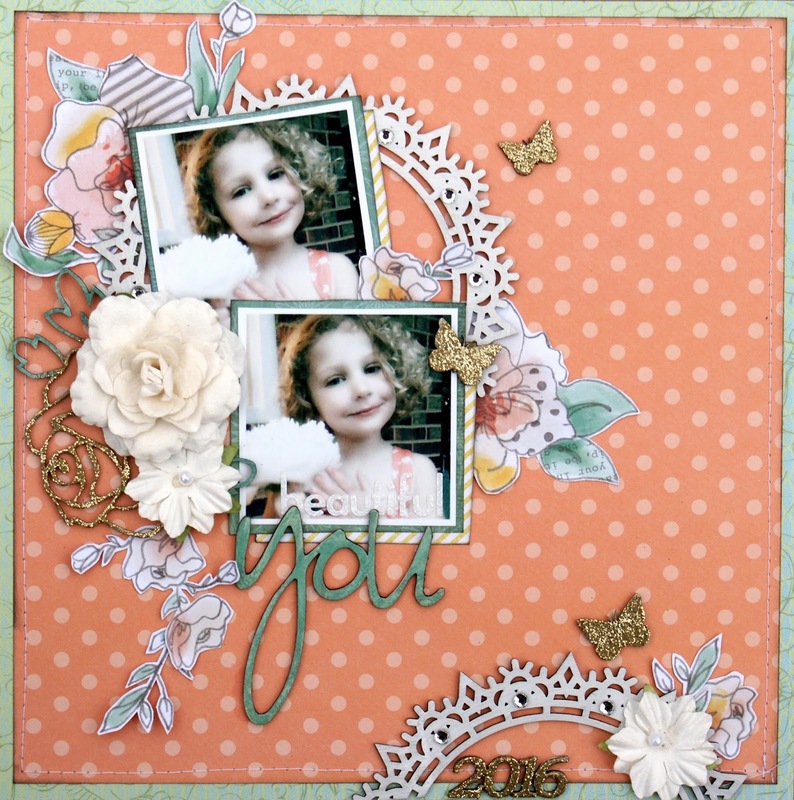 I wanted to create a lovely, girly layout for my friend using these darling photos of her daughter, and 2Crafty has so many beautiful pieces. I just love the "Pointy Doily Frames," and I used them as a starting point for my layout design. There are two in the set, and I managed to use just one by cutting a piece of it for the bottom and using the rest of it layered behind the photos. I coated it with gesso for a soft, shabby look and added some rhinestones for a bit of sparkle. How beautiful is the "Climbing Rose Bush" piece? Since I scrap 8 x 8, there's no way I could fit the entire border on my page, so I cut one rose from it and tucked it behind some flowers. I painted the leaves green with watercolor and embossed the rose with gold embossing powder. I also used the gold embossing powder on the "Butterflies." 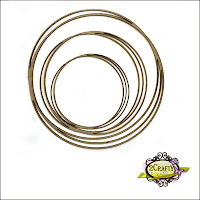 I just love the loopy font 2Crafty uses for many of their titles. I used the "You, Loopy Font" and painted it with green watercolors, which I mixed to match the leaves from the patterned paper I fussy cut. As a finishing touch, I used the remaining piece of the "Pointed Doily Frame" to highlight the year, from the sheet of "2016's." Thank you so much for stopping by today! 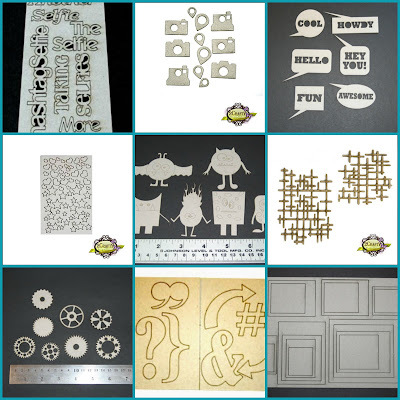 I hope I've given you some ideas for using the awesome 2Crafty chipboard pieces. Yet another fantastic post Debbi, you never fail to deliver awesomeness !!! Love all the details, the use of the chippies and your designs too. LOVE them all. 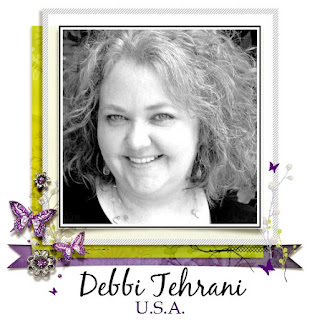 WOW Debbi! These are all fantastic! Love those grid pieces. Fantastic projects! The first one is so amazing, Selfie monsters...so cute!!!!! You always use those chippies so well Debbi, really fun. 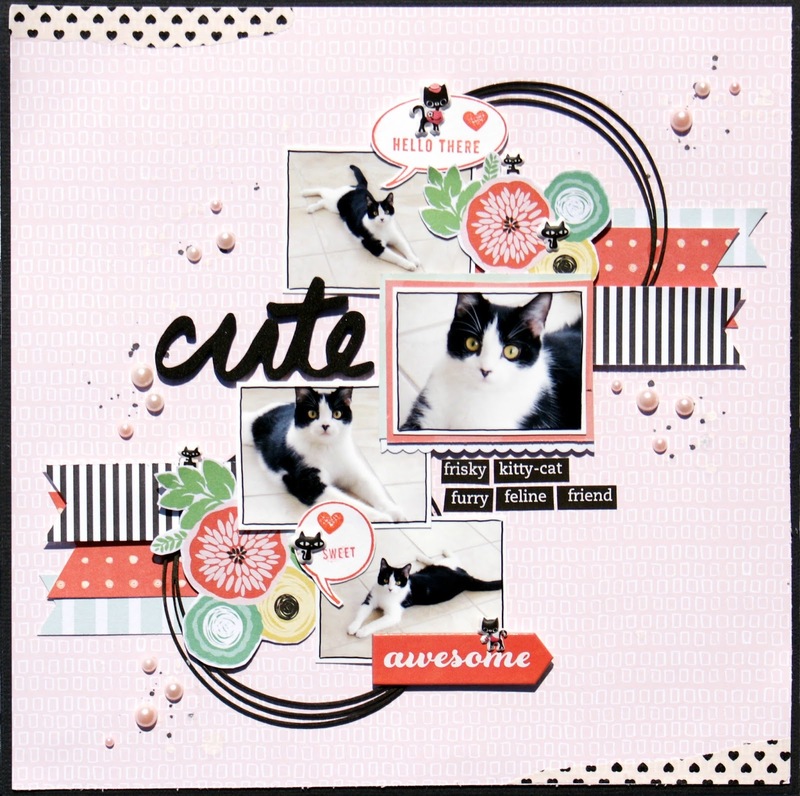 Amazing layouts! So beautiful all of them!